Oct 03, 2017 | By CENS | YING PAIO ENTERPRISE CO., LTD.
With over 40 years of manufacturing experience, Ying Paio Enterprise Co., Ltd. specializes in offering various repair kits under its “Thumbs Up” brand. 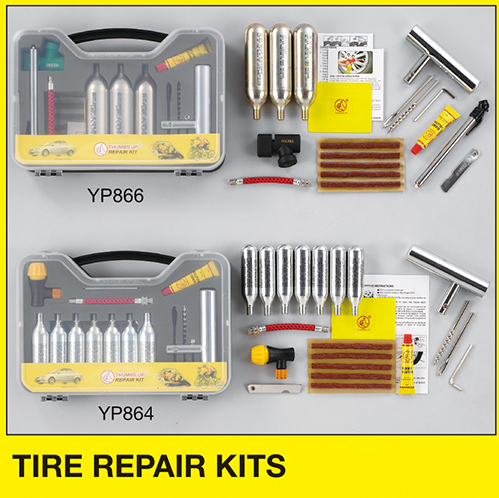 The firm's product lineup includes bicycle repair kits, motorcycle repair kits, car repair kits, truck repair kits and tubes, all of which are made under stringent control to ensure the highest quality and durability. Also notable is that Ying Paio, to expand its business scopes and provide satisfactory services, also accepts OEM and ODM orders. With outstanding quality and performance, as well as competitive price and positive feedbacks from users, Ying Paio's products have been well received by professional buyers from Africa, the Middle East, Europe and North America. With inherent integrity and commitment to customer satisfactions, Ying Paio is an ideal partner for global buyers looking to develop trading business.